Now that we are 11 weeks deep into parenting I thought I'd share with you some of the items we've found most useful so far. 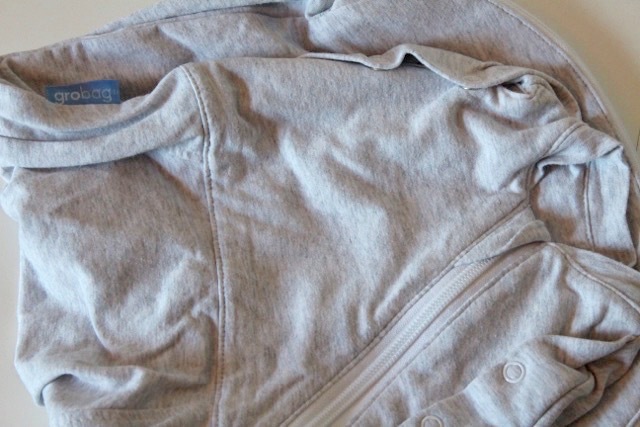 Of course, as Aria gets older these items will change and I plan on doing one of these posts every few months.. maybe our insight might help other parents out there when thinking about things to purchase for their babe! 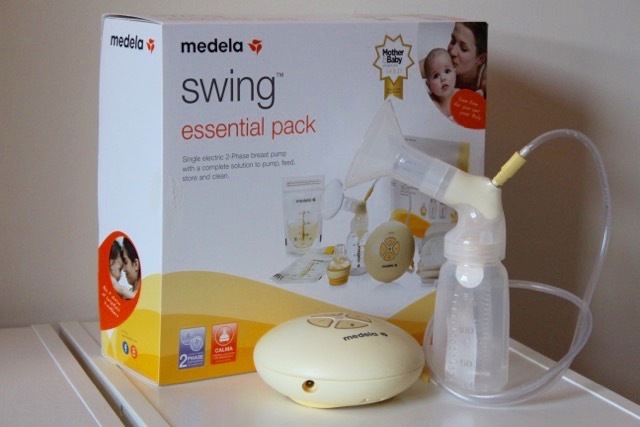 Medela Swing essential pack- Before I had Aria I knew very little about breastfeeding; I thought it would be a walk in the park and there'd be no need for any of the gadgets I'd seen in Mothercare. How wrong I was... Aria lost about 12% of her weight in the first few days so I needed to ensure that when she wasn't feeding I wasn't losing any of my liquid gold milk to a breastpad. I'd already got a manual hand pump but after using the Medela pump in the hospital I knew going back to using a clunky low tech pump would be painfully time consuming. Four days after Aria's birth we nipped into Mothercare in town to buy the Medela Swing pump pack (£139)- I've used this near enough every day since and cannot recommend it enough. Personally, I wouldn't want to exclusively express but for times when I fancy an evening out having this gadget has meant I've been able to leave some milk for the babe. 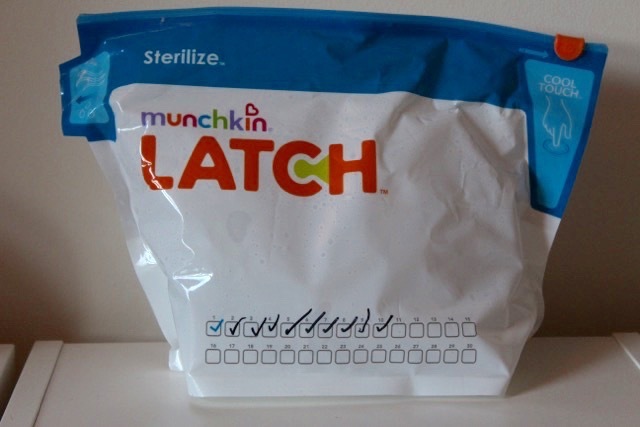 Munchkin Latch microwave sterilising bags (£8 JoJo Maman Bèbè)- As I'm breastfeeding Aria we didn't want to spend too much on sterilising equipment so these bags have come in really handy. All you do is add 60ml of water into the bag once you've loaded it up with the bottles and then pop it in the microwave for 3 minutes. We use them for bottles once we've given her expressed milk, dummies and if we ever have to give her any formula.. but this is quickly becoming a thing of the past now she's gaining lots each week! Gro Swaddles The Gro Company- For around the first 8 weeks of Aria's life we used Gro Swaddles every night- they helped to keep her from startling herself awake meaning she slept for longer periods of time. We ended up buying 2 of these so we always had a clean one incase of any nappy explosions! Although spending £50 on these seems expensive we really think these helped her get into a good sleep routine from day one. Once Aria began to notice her hands we stopped using these but as we purchased them in neutral colours we are going to save these for any future babies we might have. 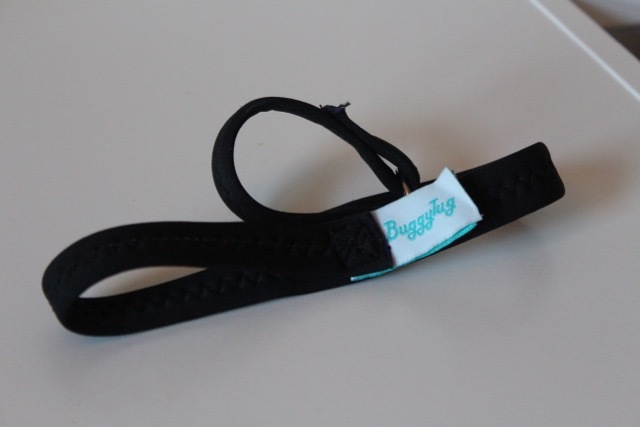 Buggy Tug pram strap (£3.95 Baby Bundle)- if you've been to Sheffield before you'll know how hilly it is so this buggy strap is an essential for us. I put this round my wrist every time I go out; it makes me feel more secure and in control of the pram. Our pram (Silvercross Pioneer) didn't come with one of these but I know other brands do. Snuz pod (£199.95 Snuz) - We've been using this since day 1 and without a doubt its one of the best baby items we've purchased. As I'm breastfeeding it means I don't even have to get out of bed during the night to scoop her up and bring her close to me.. it makes those wake up times so much more relaxed and also means I can keep an eye on her during the night. Most of the time I have the side down on the Snuzpod so that Aria feels like she's in the bed with us but I have, in the past few days, been putting the side up just to start getting her used to her own space in preparation for moving her into her own room at 6 months. 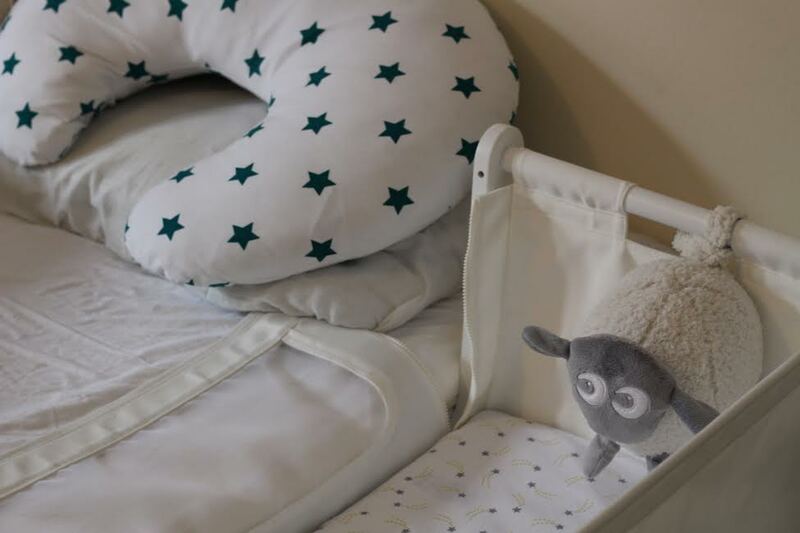 Ewan the Dream Sheep (£29.99 John Lewis)- before Aria was born I really used to struggle to get to sleep without listening to the radio on my headphones. Of course, doing this with a newborn baby was completely not possible (or safe) so not only does Ewan and his dreamy sounds help the babe he also helps me to drop off to sleep too! We particularly like rain setting on the front left foot. The only downside to Ewan is the speed at which he goes through batteries- pretty much once every 2 weeks we have to replace them. 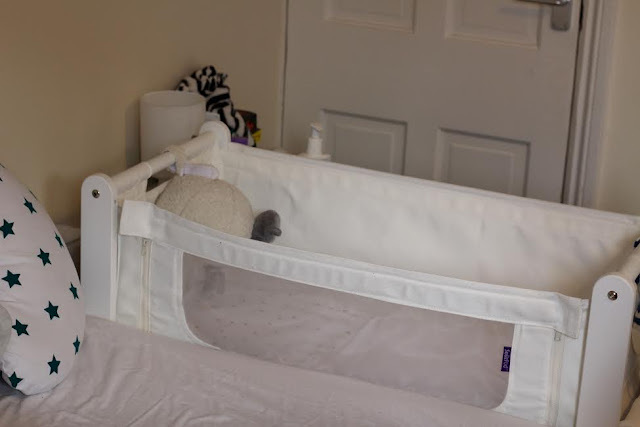 Snuz Pod pocket* (£15.96 Snuz)- As much as I love the Snuzpod I do find it frustrating that I no longer have a bedside table to store stuff on; so when Snuz offered to send me the pocket to go with the set up I of course said yes. 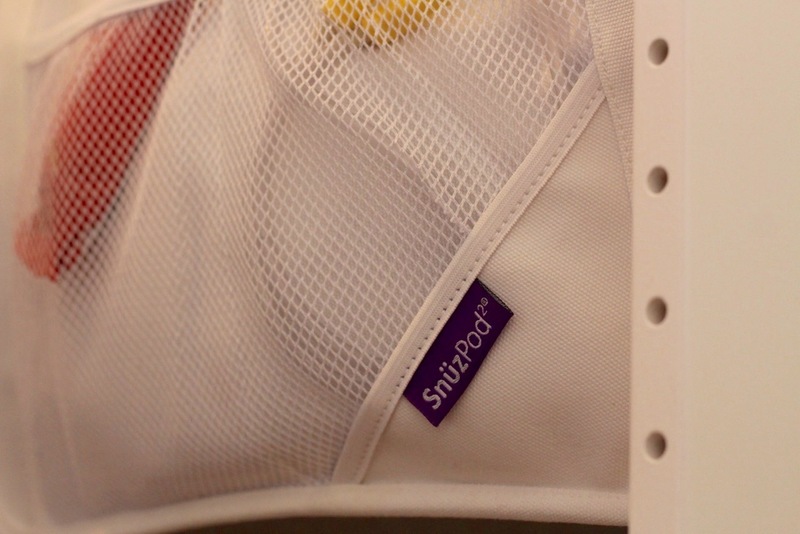 The pocket attaches to either end of the Snuzpod with and has 3 compartments to store bits and pieces in. 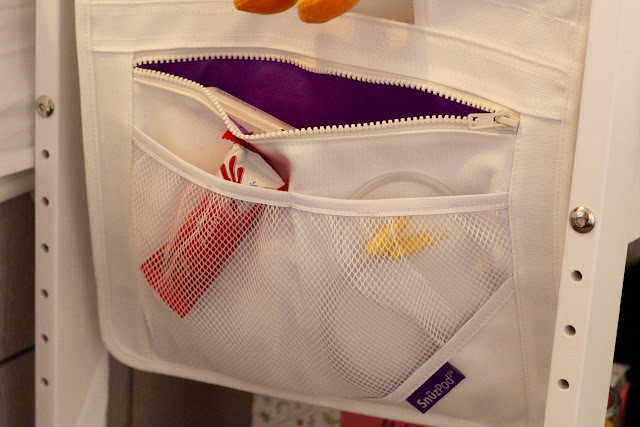 I use it at the moment to store snacks in for nighttime feeds, my breast pump paraphernalia and my water bottle. Although it cant store as much stuff as my bedside table of course it does give me back just a little space for me! As time goes on our most used products will of course change so I'll keep you updated! Do you find posts like these useful? 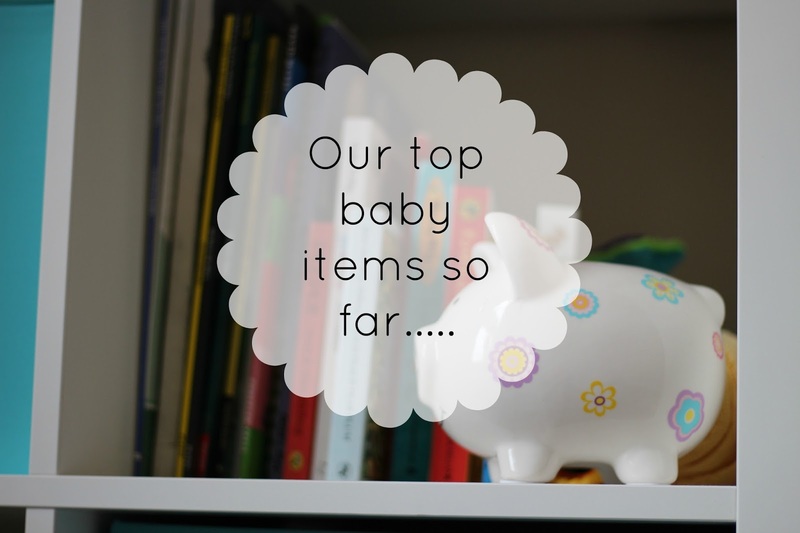 What's your most used baby product?